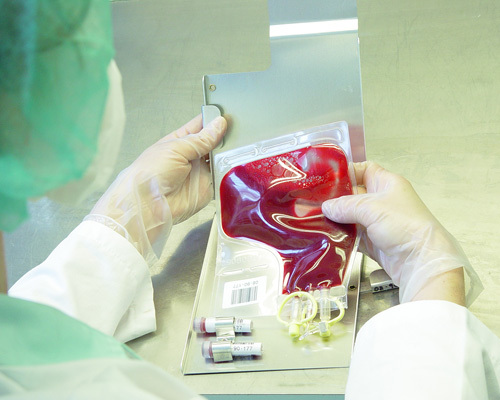 Many Jehovah’s Witnesses sincerely believe that it is a gross sin to accept a blood transfusion, since the Bible states that we must “abstain from blood.” (Acts 15:29) It is quite understandable that many are confused by the position taken by the Watchtower Society (WTS) with respect to the various blood components or blood products like albumin, erythropoietins, vaccines, immunoglobulins, and hemophiliac treatments. It does not seem possible to explain why it is a violation of God’s law to accept plasma, platelets, red and white cells when all the fractions of these are permitted by the WTS. These contradictions have caused a number of elders and Hospital Liaison Committee Members to quietly resign. This illustration is taken from the October 22, 1990 issue of Awake! You will note that plasma constitutes 55% of the blood. Since the Watchtower Society allows Witnesses to accept the separate components of plasma, isn’t it only reasonable to ask why they forbid the use of plasma itself? Hospital Liaison Committee members have been asked this question by doctors from around the world. They in turn have sought answers from Brooklyn Bethel and various Watchtower branches. Thus far they are simply told to drop the matter and not to question any further. Why can’t the WTS answer this important question? Between August 1998 and October 2000 these issues were thoroughly debated by WTS representatives and a physician and a dissident JW associated with AJWRB in the Journal of Medical Ethics. We believe every Jehovah’s Witness should read these articles since they demonstrate the WTS’s inability to address these important issues. Where does the Watchtower Society find biblical support for their partial ban on blood? Are only the smallest blood components permitted? 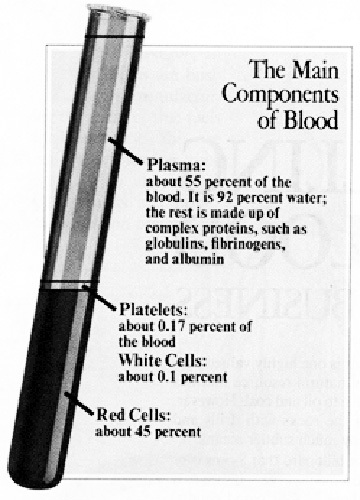 Watchtower Society policy permits the use of numerous major blood components. This is easily demonstrated by any serious examination of blood transfusion medicine. If one takes the time to carefully study all of the Biblical accounts regarding blood, it becomes quite clear that whenever the wrongful use of blood is mentioned, it is always in the context of eating blood, as the Watchtower itself has acknowledged at various times. Is a blood transfusion a feeding on blood? At one time the Watchtower Society taught that it was. [foot]”Make Sure of All Things”, Revised 4/1/57, p. 47; Watchtower, Sept. 15, 1961, p. 558. Although the WTS will still occasionally imply that a blood transfusion is feeding on blood, this position has been quietly abandoned beginning in the 1960’s, and we usually read statements like “it is wrong to sustain ourselves with blood,” although this expression or idea is not found in the Scriptures. [/foot] Then in the mid-1960s they learned that transfused blood is not digested but retained in the body much like a transplanted organ. Tragically, by then many Jehovah’s Witnesses had already died. Since the Governing Body believed that the end was extremely near,[foot]Watchtower, 5/1/68, p.272 para. 7; Watchtower, Aug. 15, 1968, p. 499; The Nations Shall Know That I Am Jehovah – 1971, 2nd ed. p. 216. [/foot] and that Science would soon provide an effective alternative to blood,[foot]Awake! 6/22/72 p.29-30. 8-Awake! 6/22/82 p.25. [/foot] the blood ban was retained, but more and more of the separate blood products were permitted. [foot]Vaccines see Golden Age, 5/1/29, p. 502, Watchtower 12/15/52 P. 764. Organ transplants see Watchtower, Nov. 15, 1967, p. 702; Watchtower, March 15, 1980, p. 31.[/foot]. 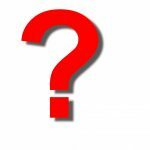 The current policy has been developed in a careless fashion over the years and there are many similarities to the Watchtower’s previous bans on vaccines and organ transplants.[foot]Ibid. [/foot] Simply stated, to receive a nutritional benefit from blood, you would have to eat and digest it so that it could be broken down and used as food. No nutritional benefit accrues from a blood transfusion. The Watchtower has tried to overcome this fact by arguing that a blood transfusion is no different from being fed intravenously with dextrose or alcohol. These comparisons are misleading, however, because sugar and alcohol can in fact be used by the body as food without digestion. A transplanted heart or kidney cannot be considered to be food and, likewise, transfused blood cannot be used by your body as food either. Consider two patients who are unable to eat, and are admitted to a hospital. One is given a blood transfusion and the other intravenous feedings, which one is receiving nourishment and will live? Clearly, doctors do not prescribe blood transfusions to treat malnutrition, but rather to replace something your body has lost, usually the red cells needed to transport oxygen and keep you alive. Since it cannot be established that a blood transfusion is a feeding on blood or the equivalent of eating blood, then the critical link necessary to Biblically support the Watchtower blood policy does not exist. How does the Watchtower Society justify their partial ban on blood? Most Jehovah’s Witnesses would answer a resounding YES! But as even this brief consideration of the facts has shown, the answer is “no”. Watchtower policy does not “abstain from blood”, with the limited exception of whole blood which is very rarely used anymore. Stop and consider: Can you explain why the Watchtower Society permits the use of blood products like albumin, EPO, hemoglobin, blood serums, Immunoglobulins, and hemophiliac treatments (clotting factors VIII & IX) since these are clearly taken to sustain life? How can this honestly be considered as abstaining from blood? The obvious answer is that it cannot. If the medical use of blood products is wrong, we cannot pick and choose which blood fractions or products we will abstain from anymore than we can engage in a little fornication or a little idol worship. Such reasoning is seriously flawed. The Watchtower has been slowly dismantling this policy for decades because they know it is wrong. 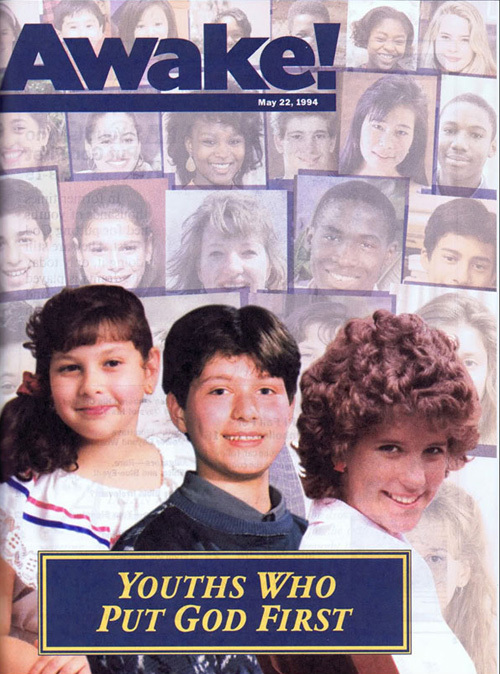 Featured on the cover of the May 22, 1994 Awake! magazine are the photos of 26 children, ages varying up to 17 years, with the caption: “Youths Who Put God First.” Inside the magazine proclaims: “In former times thousands of youths died for putting God first. They are still doing it, only today the drama is played out in hospitals and courtrooms, with blood transfusions the issue.” (page 2) The article on page 9 titled ‘Youths Who Have “Power Beyond What Is Normal”‘ tells the stories of three of these children who died after refusing blood treatment. Were their deaths truly necessary? Loyal adherence to the blood doctrine has cost thousands of Witnesses their lives. Despite this fact, many elders, Hospital Liaison Committee members and longtime Watchtower observers believe it is only a matter of time before the organization completely reverses their blood policy, and the use of all blood products becomes a matter of conscience. In the meantime, we encourage you to fully educate yourself on the issues so that you can make an informed and conscientious choice regarding the use of blood or blood products. Seek alternative non-blood therapies under the advice of qualified medical professionals who can best advise you as to the risks and potential benefits of both accepting or rejecting the use of all blood products, regardless of whether or not these products are presently approved for use by the Watchtower Society. Rest assured that your physician sincerely wants to respect your choices regarding medical care. By reviewing and discussing this information with your doctor privately – they can discharge their responsibility to insure that you are making an informed choice regarding the use of various blood products, regardless of what the current Watchtower policy happens to be. If you feel you are being coerced by Jehovah’s Witness family members, elders or HLC members, please know that your doctor can arrange for your privacy to be enforced, and your treatment choices not disclosed to others. Do not let “undue influence” and misinformation cost your life, or the life of a family member. AJWRB supports your choice, and we are available if you have questions or need assistance. If you sincerely believe, and support the Watchtower’s partial blood ban policy, and do not feel that you have been unduly influenced or coerced, your physician will also respect your informed choice to accept only the Watchtower approved blood products. The choice is yours to make. Jehovah’s Witnesses do not understand blood. Not long ago, our congregation had, at the Watchtower Society’s direction, an open discussion about blood. The meeting was chaired by a brother who is an elder and a practising nurse. It was a farce of confusion. In an effort to bring some clarity, I commented and asked the brother (elder-nurse) if I was correct when I say that ‘blood fractions, including those now allowed for Jehovah’s Witnesses according to their own conscience, are manufactured from blood that was donated at donation centres by people of the world (referring to non-JWs)’. The chairman had no choice but to answer “yes”, an answer that drew a resounding and collective gasp from the audience. And a huge frown from the chairman. Thank you for sharing your experience. This has been our observation as well. There is tremendous confusion among JWs. Most simply leave the matter in Jehovah’s hand and do what they are told. Some how some way the truth has to come out. People make mistakes but those mistakes cause peoples lives needlessly. I hope that someone from the WTS will stand up and do what is right and accept what ever consequence there may be for misleading people to believe that it is wrong to accept a blood transfusion. Its sad to watch a family member just stop fighting to live because of refusing a blood transfusion. I think its legalized murder that they are allowing. I appreciate the honest comments. The informed consent of treatment is a right of the patient by means of which he can decide which medical care is the best in his case. Doctors must explain what your condition is and the treatment options for your case. 1. 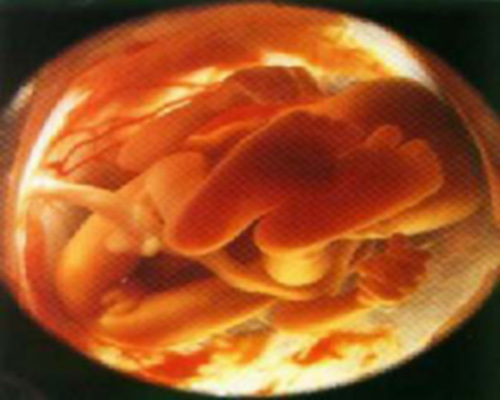 You have received information about the condition and your treatment options. 2. Understand what the condition and treatment options are. 3. Is able to decide what medical treatment you want to receive and give your consent to receive it. To obtain your informed consent, the doctor can talk with the patient about the treatment. Then the patient will read a description of it and sign a form. It is an informed written consent. Translated and edited for length.